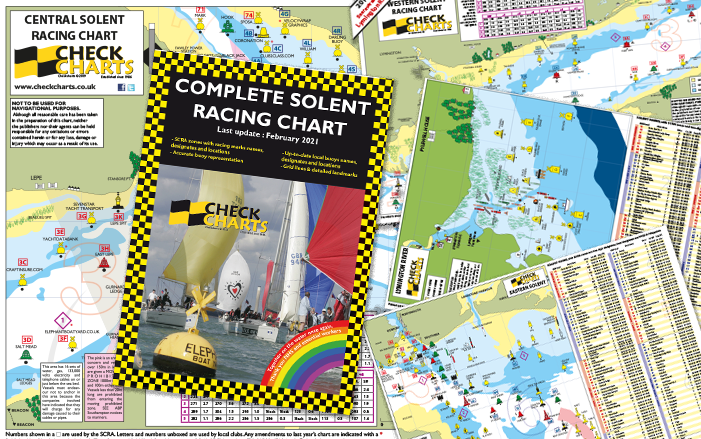 2019 Checkcharts now available to pre-order and in your chandlery soon. Added value : Lymington River dinghy chart now included on the back of your Western Solent Checkchart, and Eastern Solent chart now included on the back of your Central Solent Checkchart. Checkcharts with life-like buoy representation and detailed land features ! Note a Checkchart is not a navigation tool, it is designed to help you locate and identify the local buoys to help you get ahead of the fleet in any regatta.